"A class-action lawsuit by former General Motors of Canada Ltd. dealers against the company has been dismissed but their claim against a Toronto law firm has been upheld. The dealers, who were terminated as the auto maker successfully staved off bankruptcy protection under the Companies’ Creditors Arrangement Act in 2009, have been awarded $45-million in damages against Cassels Brock & Blackwell LLP." 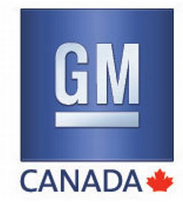 "The retailers sued GM Canada and the law firm after their dealerships were wound up in 2009. They argued in part that the six days the company gave them to assess wind-down agreements they signed in return for compensation was insufficient and that the law firm was in conflict of interest because it represented both dealers and the federal government, which was being asked to help bail out the company." Ontario Superior Court Judge McEwen wrote: "'Cassels acted irresponsibly and unprofessionally by failing to have an effective conflicts checking system in place – that is one which actually leads to lawyers discussing and resolving potential conflicts,' he wrote. 'Cassels is liable for its failure to heed the alarm bells that were audible, despite the deficiencies of its conflicts checking system.' While GM Canada stayed out of bankruptcy protection, Canadian and Ontario taxpayers contributed $10.8-billion to the bailout of its parent, which used some of that money to reduce a massive pension deficit in plans set up for salaried and hourly employees." We covered this story when it took shape, starting in 2012. And again in 2014. See the complete text of the judgment here.